Gift to NGA from the Woodward Foundation, 1976. 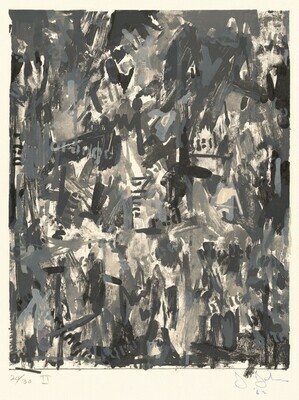 Jasper Johns: An Allegory of Painting, 1955-1965, National Gallery of Art, Washington, D.C.; Kunstmuseum Basel, 2007, no. 33. Field, Richard S. The Prints of Jasper Johns, 1960-1993: A Catalogue Raisonné. West Islip, New York: Universal Limited Art Editions, 1994, no. 10.